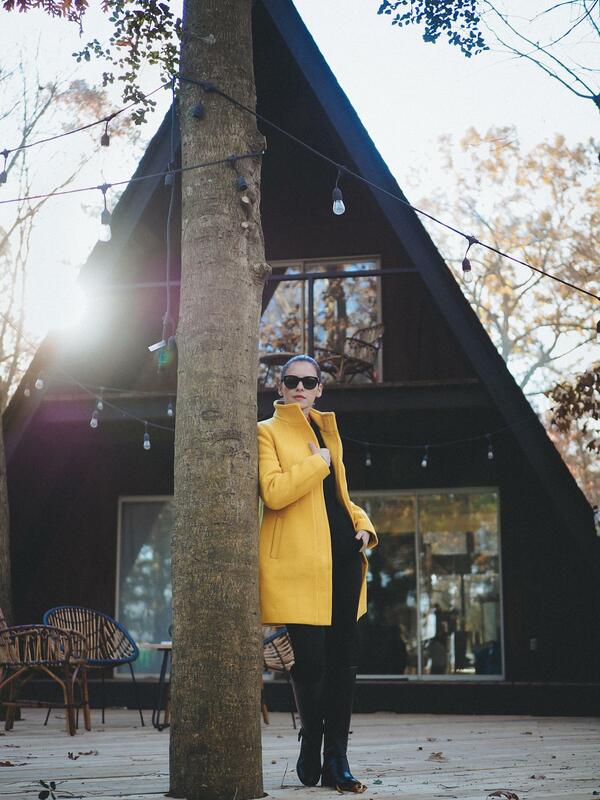 This yellow coat is the perfect Fall- Winter coat that you can dream of if you like bright colors in the cold season. 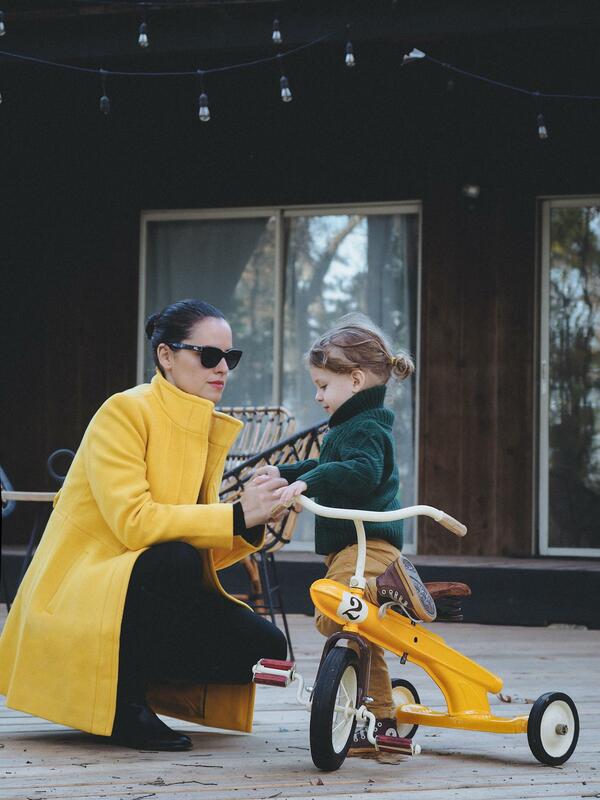 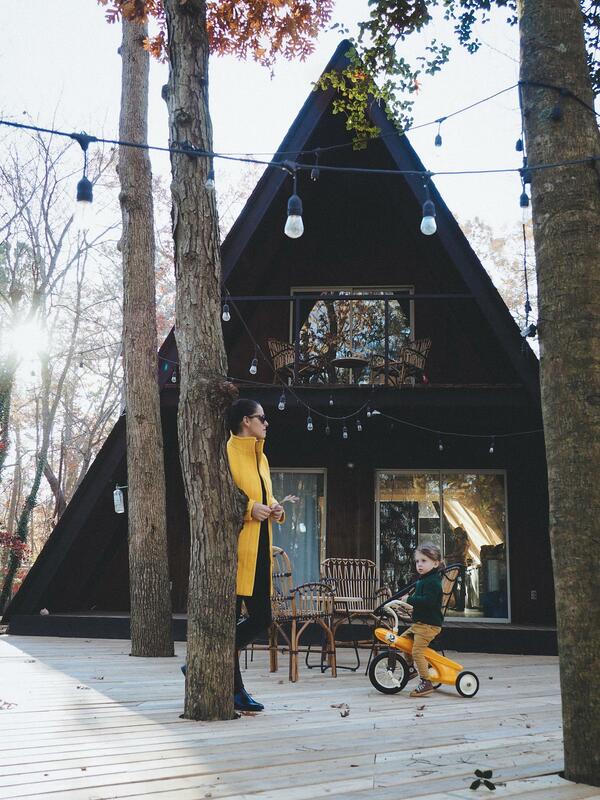 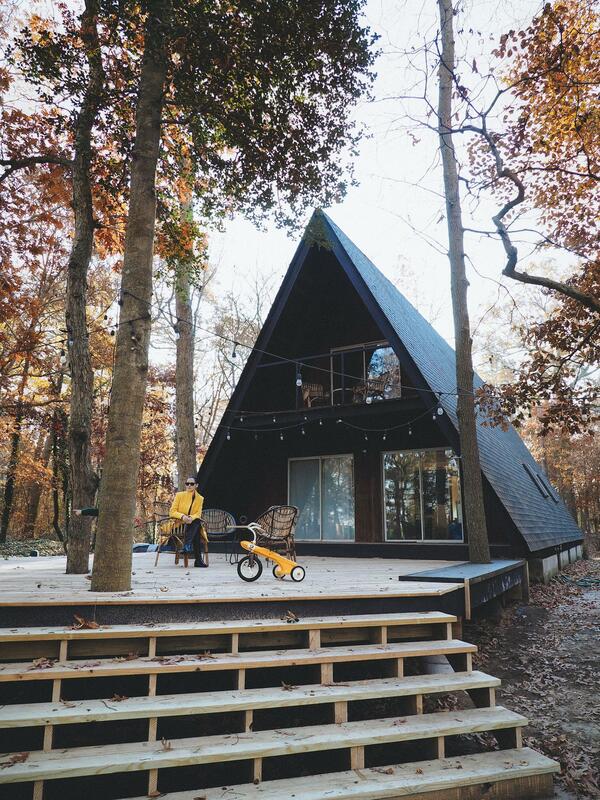 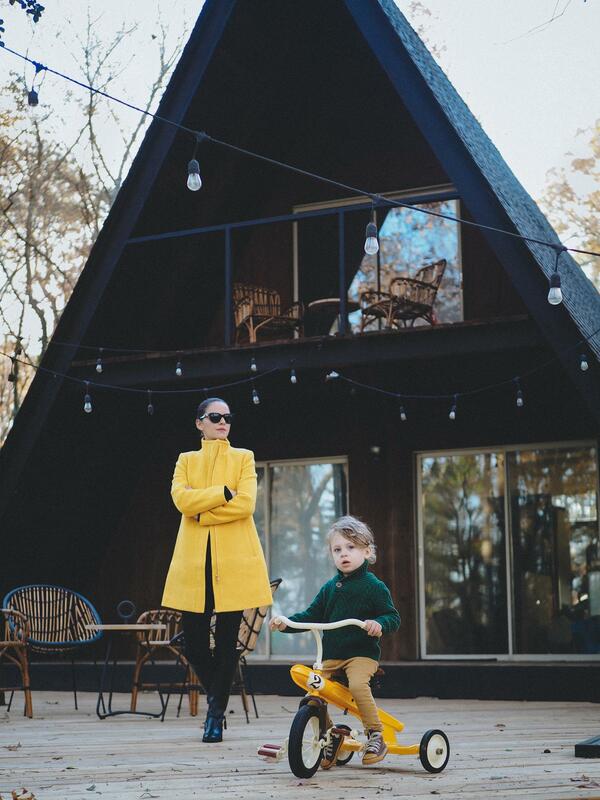 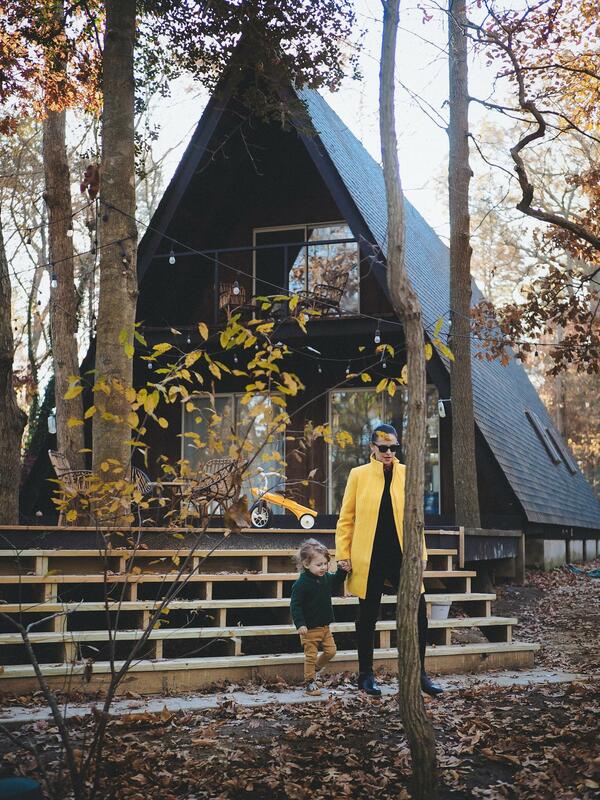 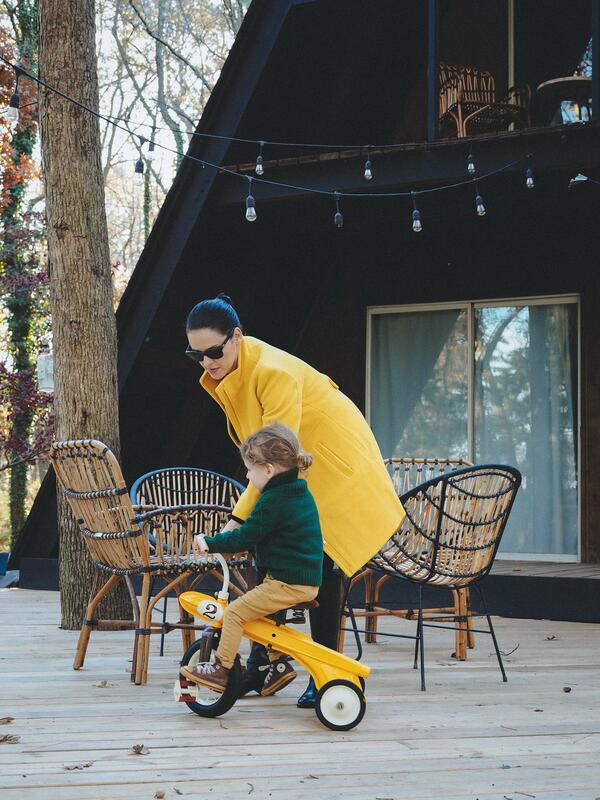 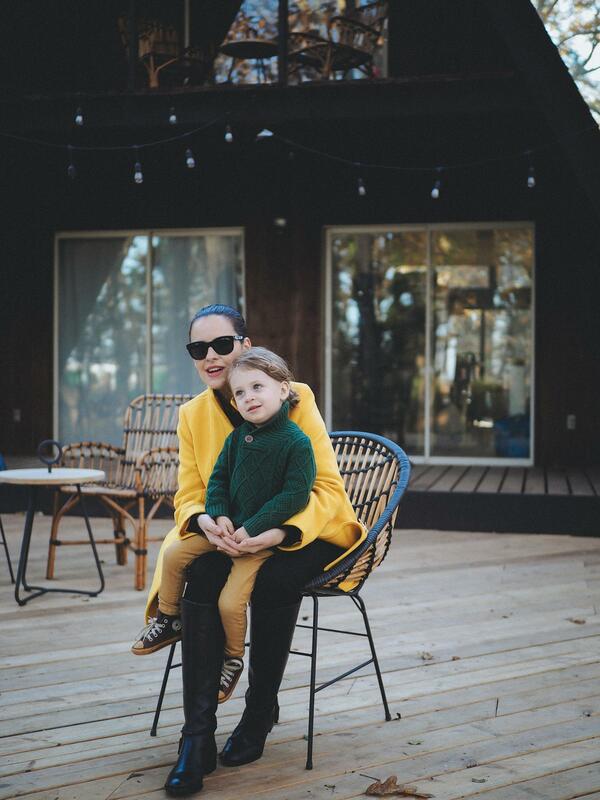 Also, the right pop of color on this cabin scenery, still, I wasn't the only one with "yellow fever' on that day :) Noah had his newly restored antique tricycle (restored entirely by Bogdan), and on that morning he "tried "to take some rides. 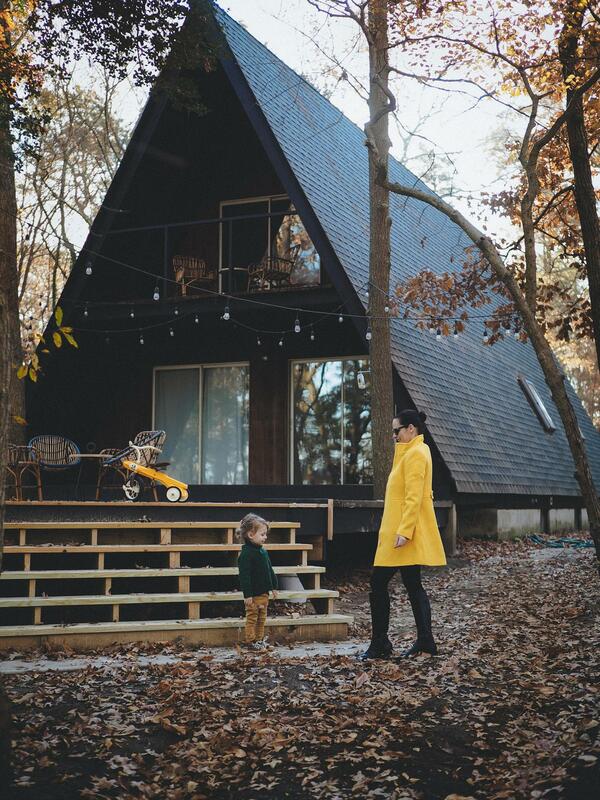 So here are some moments captured by Bogdan on that day!